Does a smart fitness device or app help you lose weight? The new year is here, and that means new year's resolutions are in full swing. 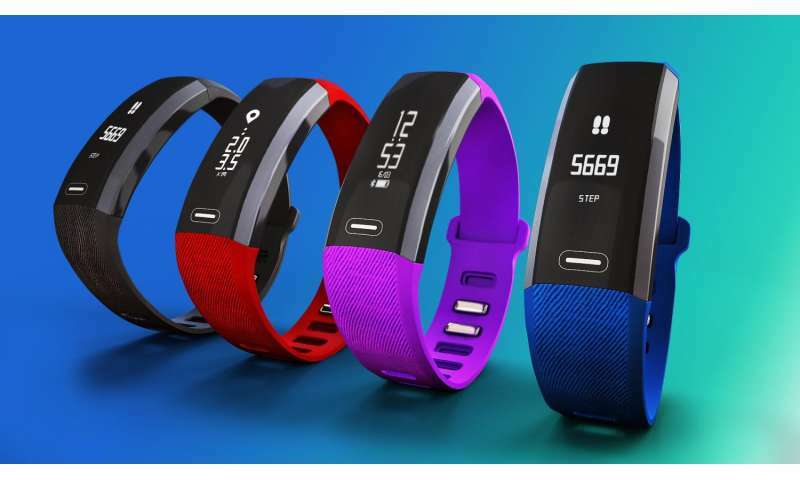 For those trying to lose weight or become more active, a smart fitness device like an Apple Watch or a Fitbit may seem like an ideal purchase to track calories and steps. However, before you buy, make sure you are using the device for the right reason and understand its limitations. Irfan M. Asif, M.D., family medicine physician, who is also board-certified in sports and exercise medicine and the chair of the Department of Family and Community Medicine at the University of Alabama at Birmingham, says in order for smart fitness devices or apps to help, the person using them needs to be motivated. "If you aren't in a stage that is ready to make a change, the watch or tracker isn't going to do anything for you," Asif said. "You have to incorporate things like nutrition, exercise and behavior changes in order to lose weight. The device can be helpful, but you need to be in the right mindset to do some of those things." There are five behavior change steps people typically follow before they lose weight. According to Asif, the first is pre-contemplation, followed by contemplation, preparation, action and maintenance. Those who will benefit the most from smart fitness devices or apps need to at least be in the contemplation or preparation phases. "You need to be in a frame of mind to want to make a change," Asif explained. "Those who are considering buying a device or downloading an app may be motivated to incorporate movement into their daily routines, which would later bring them into action and hopefully then maintenance to sustain healthy habits throughout their lives." On the other hand, Asif says, the watch will not be useful for people who are not technologically savvy or do not have any desire to make changes to their lifestyle. Many of the devices track calories burned through steps or activity; but despite what your watch or Fitbit tells you, the calorie count may not be as accurate as you think. According to Asif, the calories are tracked through a formula that looks at age, height, gender and weight. "Most of the programs do not account for someone's fitness level," Asif said, "so a fit person like a professional athlete may burn more calories than someone who is the same height and weight, but not at the same fitness as the athlete." If your goal is to get exact calorie counts, it is best to correlate your fitness watch with a food diary to track what you eat, whether that is by pen and paper or through an app that automatically has the calorie counts for various foods. As for the 10,000 steps, do we really need to reach this goal each day to maintain a healthy lifestyle? If you want to lose weight at a safe rate of 1 pound per week, it may be best to put your walking shoes on and try to hit that number. Asif says the 10,000 steps measurement is derived from the goal of losing 1 pound per week. "A pound is 3,500 calories, so if you want to lose 1 pound per week, you need to eat or burn 500 calories less than you have eaten or burned in the past," Asif said. "If you walk or run a mile, that is about 100 calories, so 5 miles is 500 calories. A mile is about 2,000 steps. The programs that use 10,000 steps are basically trying to get you to reach 5 miles a day or burn 500 calories per day." Social support is one way smart devices and apps benefit the users. "Humans are social by nature, so if you are motivated to work out with others, whether in a virtual space or in real life, the apps and devices may help motivate you," Asif explained. "Similarly, however, you can consider getting a workout buddy to help keep you honest about your workout program." While competition may be a motivator for someone, it is important to also measure only yourself as the constant. "Do not compare yourself to someone else, as everyone is different," Asif said. "Set goals for yourself, and if it helps you, use the apps or devices to track your progress. Many who see success with weight loss or fitness goals will continue to be motivated and maintain a healthy lifestyle."